Walt Disney was the consumate artist, concerned with all details, focused on providing the best experience to his guests. And at Disneyland, he was committed to bringing the same immersive experience that his films wrought into the three dimensional field. That's why no view or nuance was left unexamined. Items that might be overlooked by the average person were given careful scrutiny under Walt's direction toward his Imagineers. 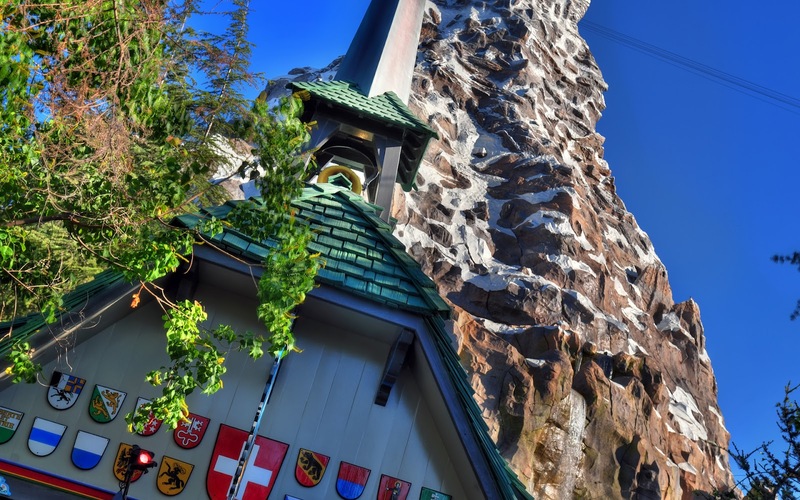 And that is why when you stand in front of the Matterhorn's station, you realize that the mountain has been carefully tapered to match the shape of the roof. ...Magic!! The newly-reopened Matterhorn, behind its ride station.